The man, who was wearing a helmet, went flying into the car's back window, smashing it out, police said. 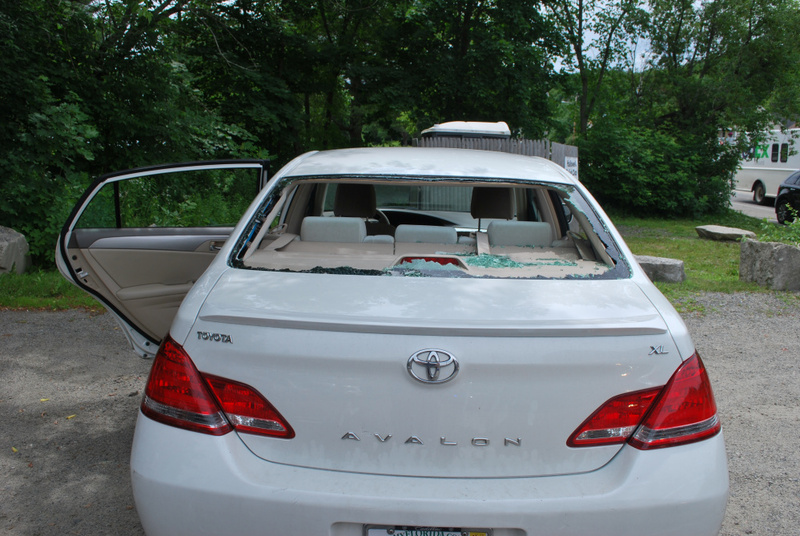 A man bicycling through Hallowell on Tuesday suffered injuries when his bicycle hit the rear end of a car stopped at a crosswalk, sending him flying into the back window. Jeremiah Hackett, 37, of West Gardiner, was taken to MaineGeneral Medical Center with possible arm injuries, said Hallowell police Chief Eric Nason. The collision happened around noon when a 2006 Toyota sedan driven by Richard Spencer, 70, of Spring Hill, Florida, was heading north on Water Street and stopped at a crosswalk near the south end of downtown, Nason said. Hackett’s bicycle struck the back of the car, and “he was ejected off the bicycle and collided with the rear window of the car, obviously completely smashing it out,” Nason said. Hackett was wearing a helmet. He had some bleeding and possible injuries to his arms, and was taken the hospital for treatment, Nason said. No charges were filed in the accident.